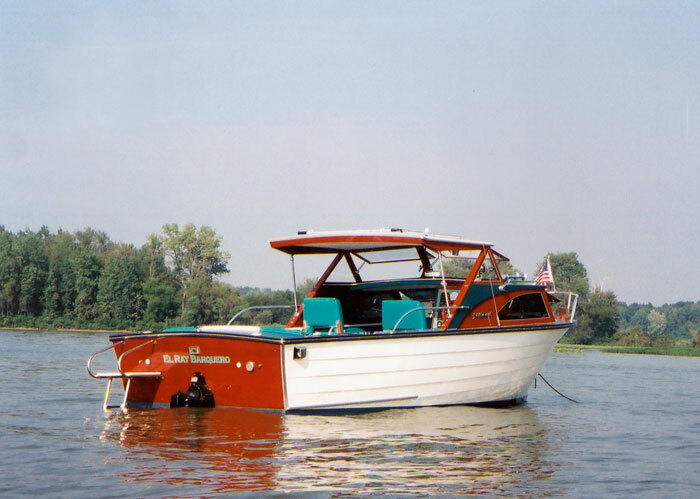 Ron Rosene bought this boat in the summer of 2002 and restored it over the winter. EL RAY BARQUERO. 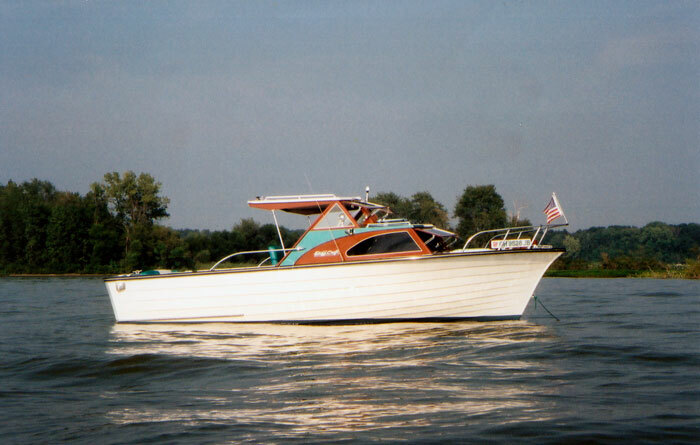 is a 21' x 7' Skillcraft Day Cruiser made by Henry Boats in Plain City, Ohio in 1968. 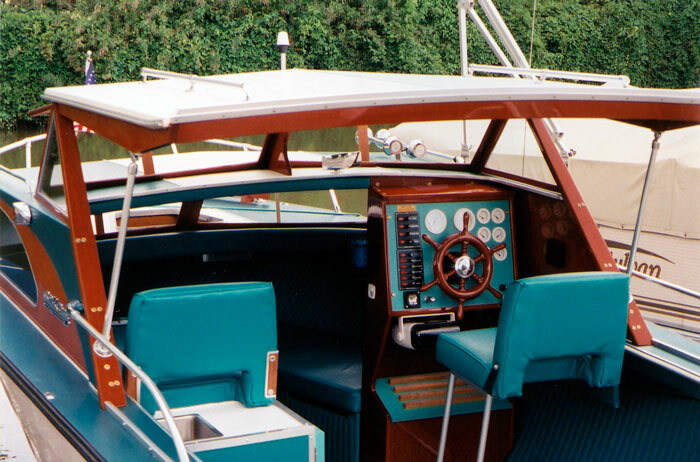 Zimmerman Boat Works in Columbus Ohio restored all the surfaces. Holiday Shores Upholstery of Lakeview, Ohio did all of the interior upholstery. I updates all electrical and drive systems. We relaunched the boat in mid-July 2003.